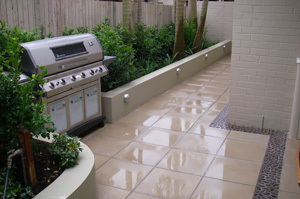 Our philosophy is simple, “To create an outdoor area that is both stunning and functional to suit your home and lifestyle”. 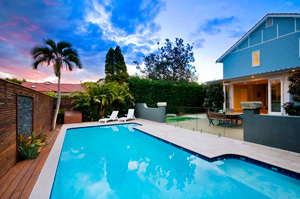 So if you need inspiration, advice or motivation, don’t hesitate to contact us now for a no obligation free quote, for all your Northern beaches landscaping and north shore landscaping requirements. Mark and his team converted our backyard from a slushy unusable sloping block into a completely usable and well drained pleasure. A major reconstruction over 2 months that involved excavation, retaining walls, decking, pergola, paving, fencing, turfing and garden preparation. The end result was beyond our high expectations and brings us pleasure everyday. Beyond the technical expertise and diligence we found Mark and his team to tick all the boxes of strong communication, customer focused and reliable. 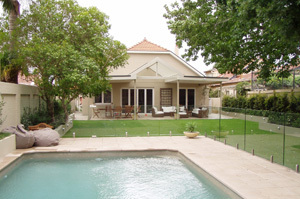 We highly recommend his team for a broad range of landscaping/outdoor projects.